Ben has been extremely supportive to my family in a time of stress. He is knowledgable and has continuously offered guidance and reassurance. His prevention advice has been invaluable. I would recommend his services to anyone who is dealing with a potential bedbug situation. 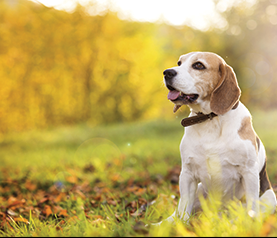 Beagles on Call is a canine bed bug detection service and does not provide bed bug extermination and removal services. We believe that focusing on bed bug inspections only allows us to provide our customers with a sense of security. Because we have no vested interest in the results of the inspection, we provide 100% honest and authentic inspections. While we do not provide bed bug removal services, we can tell you that DIY bed bug extermination or self-treatment can often do more harm than good. Chemicals and other self-treatment methods may prevent our bed bug dogs to inspect the property, which could allow the infestation to spread. Therefore, if you think you have bed bugs in your property, please contact us for a thorough bed bug inspection. Beagles on Call is a professional and highly skilled bed bug detection agency. Our canine dogs and handlers are all certified by NESDCA, the National Entomology Scent Detection Canine Association, the highest certifying agency for bed bug detection, ensuring that the highest of standards are adhered to. The dogs have a 95-98% accuracy rate which means that they can detect what a human inspector may miss. © 2019 Beagles on Call. All Rights Reserved.